I do not know whether Pope Gregory also came up with the tradition of making resolutions on the first day of each new year on the Gregorian calendar. But it has become a tradition for most of us to begin each new year by resolving to do some positive things over the next 12 months. The most common New Year’s resolution is to lose weight. This is an obvious resolution for most of us since we have spent the December holidays eating non-stop to the point where we now resemble either the Pillsbury Dough Boy or one of those floats in the Macy’s Thanksgiving Day Parade. If you don’t believe that the most common New Year’s Resolution is to lose weight, just turn on your TV tonight. You will see an endless series of commercials for “low-fat” food plans and exercise equipment, all in anticipation of New Year diets. Starting on Monday, the YMCA and all the gyms in town will be filled with pudgy people determined to carry out their New Year’s resolution to shed holiday pounds. But it will be doomed to failure, and we can all blame it on the Girl Scouts of America. 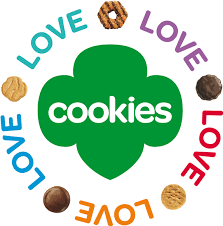 In February, the Girl Scouts will start their annual cookie sale, featuring Samoas (as in, “I want samoa!”), Dosey Does, and the ironically-named “Thin Mints.” We will be unable to resist, and we will soon forget all about that resolution to lose weight. We will then fall back on more esoteric (translation: easier) resolutions such as striving to be a better person, or helping President Trump make America great again. The great thing about these nebulous resolutions is that nobody can ever say we did not achieve them, no matter how pudgy we become. I for one have decided that I will have only one resolution for 2017. Are you ready? Here it is … I hereby resolve … that this year I will make no New Year’s resolutions! Now please pass me that left over piece of Christmas pumpkin pie. It’s going to have to hold me until the Girl Scout cookies arrive in February. bing rewards bot: As soon as you have actually joined, most likely to the Bing Control panel and also you'll have a few various offers you could finish and also ways to fill in your account in order to gain some debts from the outset. bing rewards dashboard: As soon as you have actually joined, most likely to the Bing Control panel and also you'll have a few various offers you could finish and also ways to fill in your account in order to gain some debts from the outset.